NORWELA products are a range of a unique and innovative herbal products manufactured by Sahajanand Life Sciences (P) Ltd. Our approach is holistic with objective to derive all the required complex macro and micro nutrients from the herbs by employing the best available technology, and the result is to be substantiated and backed by significant scientific research and literature. Therefore, product efficacy, quality and stability continuously monitored. These world-class research and development set up comprise of sophisticated research laboratories, animal house, documentation rooms and research library with latest scientific reviews, literatures and clinical studies on herbs, nutrients, vitamins, minerals, and phytochemicals. A diverse and talented team of doctors, pharmacists, scientists, chemists, and relevant experts worked extensively for years to develop these unique herbal products. 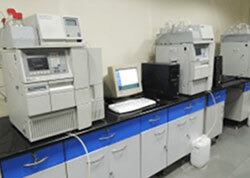 Expert technicians and scientists use state of the art techniques such as High Performance Liquid Chromatography, High Performance Thin Layer Chromatography, Gas Chromatography, UV Spectrophotometry and many more to analyze the quality of products. In the process, we have continuously involved ourselves in conducting countless clinical studies in-house in India, as well as in the USA. We are fully committed to the research and development of cutting-edge nutritional technology. The manufacturing machineries are fully automated and fast, that produces thousands of capsules per minutes. QC team continuously monitors the manufacturing quality by measuring uniformity of powder filling and other high quality parameters. Manufacturing process, in fact is extensive and quite complex that requires painstaking commitment for excellence which we have, and that is one of the reasons why our products excel and are Best Quality Products. To ensure that the formulas developed in our laboratories are produced consistently, the same process is followed each time the manufacturing begins. 'The Food and Drug Controlling Authority' (FDCA) certified our manufacturing plant with current 'Good Manufacturing Practices' (cGMP) for herbal product manufacturing. The product quality is ensured by Quality and Food Safety Management System certificates like ISO 9001:2015, ISO 22000:2005 and HACCP. SLS is also registered with USFDA. These are the proofs that NORWELA products are truly a product You Can Trust. 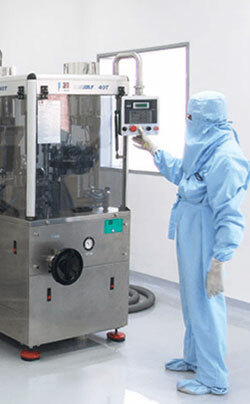 Manufacturing technique takes care to prevent contamination of the products by adhering to strict cGMP standards. The products & raw materials undergo more than 50 stringent tests with précised sophisticated instruments during complete manufacturing process. 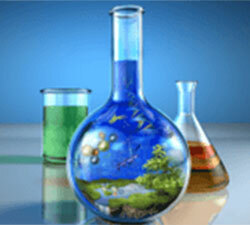 Products are specifically tested for heavy metals, steroids and pesticides. Capsules are thoroughly monitored for its quality and finishing before it is processed for packaging. The automated machines with photo-sensors count the number of capsules per bottle to ensure correct packaging. 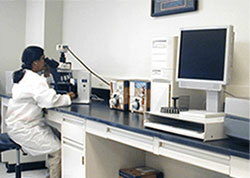 We are committed to provide products with purity, identity, composition, quality and strength. Every individual, from the plant worker to the Chief Executive is committed to present to you the very best products in terms of purity and efficacy with a wish that you enjoy the greatest gift of God to the full – your life, and live it long, healthily and happily.